We are one of the best outsourcing companies in India and one of the leading recruitment agencies in India. RADOMIR is into providing outsourcing solutions such as Manpower Outsourcing, Temporary staffing, Contract Staffing and Temp Staffing to meet the growing business needs. We are fast becoming a preferred partner for employee leasing and temporary staffing with Public Sector Companies, Government Organizations, large Corporate and MNCs. Customers are the center of RADOMIR’s focus. Our customers define the quality we are expected to deliver. All across the globe the most of the thought leaders of all successful organization are facing the challenge of managing and developing the diverse human capital in synchronization with organizational culture and vision. Developing and managing workforce can no longer be treated as peripheral to business success. 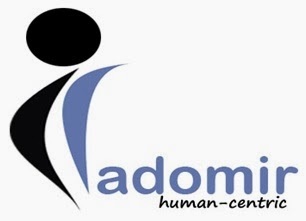 RADOMIR’s services are uniquely designed to assist the customers in accurate realization of people management. The primary reason that drives temp staffing/temporary staffing is that organizations today want to focus on their core business and hence want to outsource all activities that are not directly related to their business. Therefore, RADOMIR India provides manpower based on the requirements of the organization. It has also been found that companies that use temporary staffing/temp staffing have greater margins, profits etc. RADOMIR provides the best manpower outsourcing, temporary staffing, temp staffing and contract staffing services to companies big and small. Our contract staffing service helps our clients quickly ramp up project teams with as few or many qualified consultants as are required to fill short-term and long-term needs. Contract staffing helps companies add to the workforce selectively and in specific areas. We shortlist candidates and conduct interviews handle all statutory requirements pertaining to candidates and ensure smooth delivery of job responsibilities. We provide the best contract staffing services to our clients. Permanent staffing is assuming great importance in the human resource strategy of every company today. Rightly so, as an organization that is equipped with quality and dedicated permanent staff has a greater chance of surviving and succeeding in the long run. Radomir is a leading player in the IT staffing industry, Non IT staffing industry offers full lifecycle permanent staffing services to organizations. Radomir helps with permanent IT staffing needs by providing 24 x 7 access to a diverse pool of highly talented and experienced software professionals to meet the strategic and long term requirements of organizations. Contact Us to know more about our Manpower Outsourcing, Contract Staffing and Temporary Staffing Services.